Author: Baldwin, Shauna Singh Set In . . . Description: Out of the rich culture of India and the brutal drama of the 1947 Partition comes this lush and eloquent debut novel about two women married to the same man. she is elated to learn she is to become the second wife of a wealthy Sikh landowner in a union beneficial to both. For Sardaji’s first wife, Satya, has failed to bear him children. Roop believes that she and Satya, still very much in residence, will be friends. But the relationship between the older and younger woman is far more complex. And, as India lurches toward independence, Sardarji struggles to find his place amidst the drastic changes. 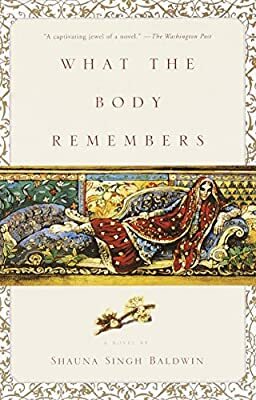 Meticulously researched and beautifully written, What the Body Remembers is at once poetic, political, feminist, and sensual.